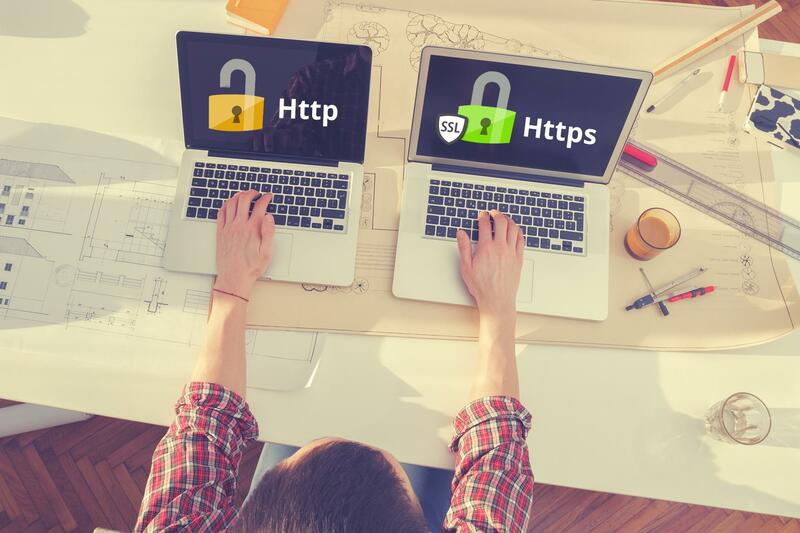 More and more business owners choose to convert their websites from HTTP to HTTPS for obvious reasons. It’s widely known that HTTPS is crucial for security of a website, DNS infrastructure and browsers. That means that if you are about doing your business seriously then you definitely need to setup SSL on your website and protect your clients from hackers. It’s important to know that if you convert your website from HTTP to HTTPS then you’ll be able to make your site and business more secure. On the other hand, converting HTTP to HTTPS has an impact on your website’s Google ranking and delivers multiple SEO benefits. What are the advantages of converting a website from HTTP to HTTPS? Why should you convert your site from HTTP to HTTPS? Bellow, you’ll be able to find the answers to these two important questions. In this blog, we’ll tell you about the main differences between HTTP and HTTPS. Above all, we’ll outline the key benefits of HTTPs over HTTP. It goes without saying that website security must be the top priority for every business owner. That means that as a business owner you need to do every single thing possible to protect your website as well as personal data of your customers (such as bank account information, email addresses and passwords) from hackers. It’s crucial for a business owner to get a basic understanding of how Secure Hyper Text Transfer Protocol works. Keep in mind that if you convert your site from HTTP to HTTPS then a more secure connection between user’s browser and site’s server will be established. In other words, the information that’s transmitted between user’s browser and site’s server will be encrypted. Even if hackers get this information they will definitely find it hard to decrypt it. You need to know that if your site is not converted from HTTP to HTTPS then hackers will probably find it easy to read the information transmitted between site’s server and user’s browser. Moreover, hackers will be able to make changes to this information. One of great benefits of converting a site from HTTP to HTTPS is that HTTPS offers a more secure Domain Name System (DNS) infrastructure. That means that no one will be able to change your information without your permission. As you can see, it’s best to have your site converted to HTTPS for security reasons. There is no question that HTTPS will contribute greatly to the security of your website. If you have an e-commerce site that sells some kind of products or services then you definitely need to establish trust in your online business. When ordering products or services on your website your clients need to make money transfers online. And of course, online buyers are very much interested in having their payment details kept safe and secure. However, if users find that your e-commerce site is not secure then they’ll not agree to purchase your products or services. That’s the reason why you definitely need to switch your site from HTTP to HTTPS. By doing this, you’ll be able to build trust and credibility with your customers. The reality is HTTPS gives more confidence to users. Therefore, if you implement HTTPS on your website then you’ll be able to increase your conversion rate dramatically and, therefore, take your business to the next level. It’s also important to note that HTTPS is vital for the search engine promotion process of a website. The reality is Google aims to reward safe and trusted sites these days. Today, the search engine uses HTTPS as a ranking signal. That means that if you implement HTTPS into your website then you’ll certainly get an additional ranking advantage. It’s fair to say that websites with HTTPS are more search engine friendly comparing to sites with HTTP. So, a website with HTTPS is likely to rank better for the necessary keywords. On the other hand, HTTPS doesn’t have a big impact on site’s search positions. There are also many other ranking factors that need to be taken into consideration for successful promotion of your site in search engines. However, the sources say that Google as well as other search engines are going to increase the significance of HTTPS in the nearest future. Do you have any questions or concerns about your site’s security? Or, maybe, you are interested in implementing SSL certificate on your website to make your online business more secure, please – contact 41Global today! Our professionals have all the necessary expertise, knowledge and tools to do any type of technical works. They will reply to you quickly and advise upon the best solution. We are always looking forward to helping you with any of your web design, web development and online security needs!